I would consider us seasoned baby chicken growers. We have successfully raised over one hundred baby chicks within the last couple years. So when I got a question from one of my readers asking if I could give her any tips on raising baby chickens I had to share some things I have learned. 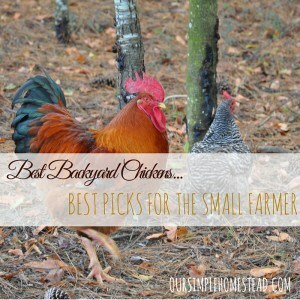 Much of our knowledge came from the old method of trial and error, but there are a few things that every new backyard chicken farmer needs to consider before bringing those adorable balls of fur home. 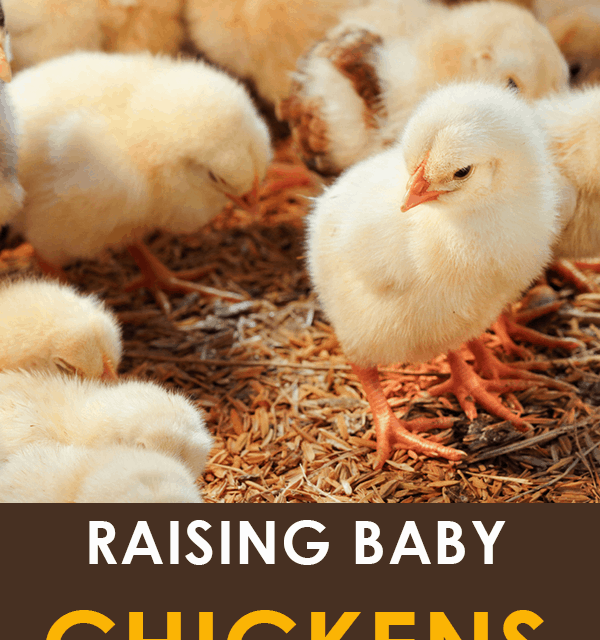 Bedding – You wouldn’t think baby chicks are messy but they are and their bedding needs to be changed daily. Pinewood shavings are the best choice for bedding. Newspaper and straw become slippery for small chicks. 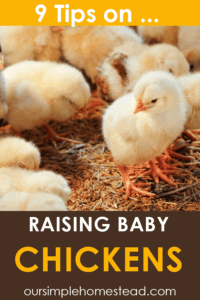 Buying – To get started with your own backyard chickens you can buy chickens at any age, but we like to buy day-old chicks so we can watch their development. It’s so exciting to see that baby chick grow into an egg producing hen. Purchase your chicks from a local hatchery, your local feed store, or online. The last few batches we’ve ordered online from Meyer Hatchery. If you’re just starting out they allow for small orders, where many of the other online hatcheries have a 25 chick minimum. Most hatcheries will routinely vaccinate before shipping. Be aware that day-old chicks are much cheaper than buying older pullets, but they do require some extra attention to get started. If you’re interested in egg production only, purchase all females since a rooster is not necessary unless you want fertilized eggs. Breed – There are many different breeds to choose from, but we have found that Rhode Island Reds and Plymouth Rocks are our picks for a dual-purpose bird. They are good egg producers, have an easy temperament and double good as a meat chicken when needed. 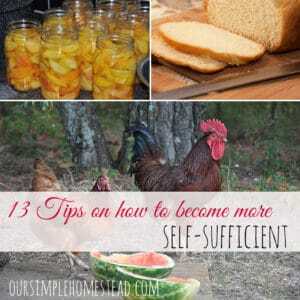 Free Ranging – As your chickens mature you may want to let them free-range and allow them to become healthy happy chickens. 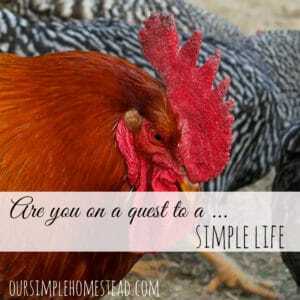 I’ve had a lot of questions lately about our free ranging chickens and how we keep them safe from predators. 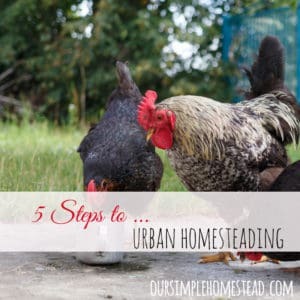 Learning how to get your chickens to roost up at night can be a challenge, but we found an easy way to teach them to come back to the coop. Teach your birds from an early age to follow you and come when you call. 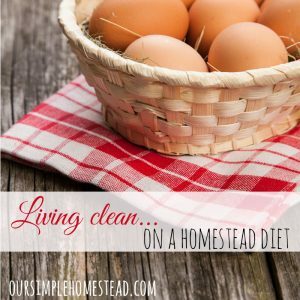 Teaching your chickens to return to the coop each night is your biggest obstacle to keeping your birds safe. Most chicks become accustomed to roosting in their coop and will naturally return to their roosts at dusk. But if you fear your free-range birds are in danger you will want to teach them early to come when you call. Teach your birds to eat from your hands. Call to them while throwing dry bread or crackers on the ground. Young birds learn best by watching their elders and soon learn that your voice means snacks. Once you have them coming when called start walking and calling them closer to the coop. After a week or so you can stand inside the coop and call them and they all come in for a treat. Once they are all safely inside, you can close them in no matter the time of day. 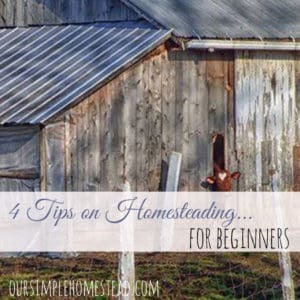 Fencing – We have always liked to let our chickens out to roam during the day so that they can feast on bugs and crickets, eat fresh grass and dig for grubs and worms until they were stuffed. 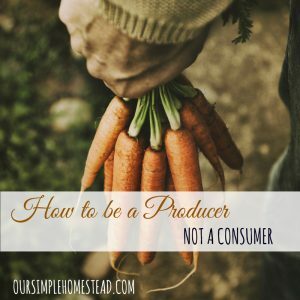 We have been homesteading for sn years now and in that time a wild pack of coyotes have killed, eaten, and preyed on over fifty of our cherished hens, roosters and turkeys. So to keep them safe we installed this Poultry Net Electric Fence. 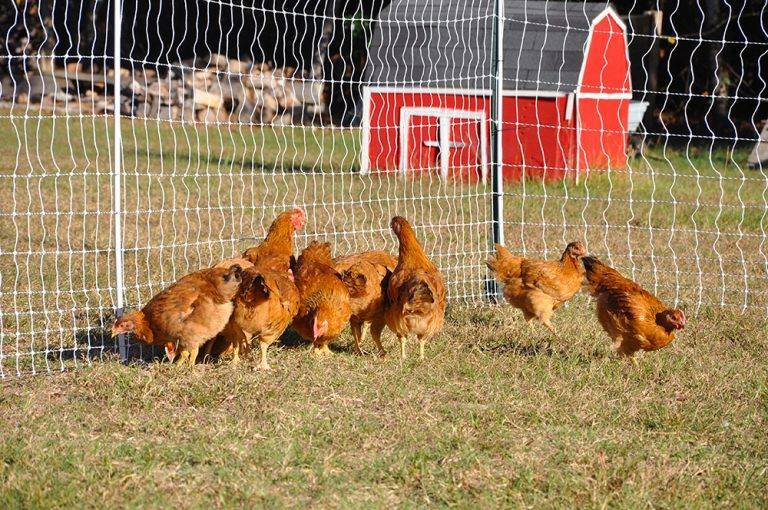 This affordable chicken fence keeps in our chickens and keeps the coyotes out. We have so much fun watching our baby chickens grow into egg laying, meat providing farm birds. Record their progress, take lots of pictures and don’t be afraid to try new breeds. 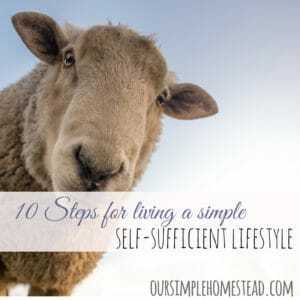 To give you a place to start I have created a “5 Steps to Simple Living Guide“ that I am offering you free. PreviousWhat does it mean to live a simple life? I would say you are definitely seasoned chicken raisers! We look forward to raising some when we move. Enjoy your brood!